A traditional Fish & Chip shop in London is launching a vegan menu. From tomorrow (March 7) diners at the Stoke Newington branch of Sutton & Sons will be able to tuck into plant-based fish and chips, as well as pie and mash. A source for Sutton & Sons said the fish-alternative is made from 'banana blossom marinated in seaweed'. According to the eatery: "Following the success of trialling different options in Veganuary and looking for something more true to a cod and chips than is possible with tofu, owner Danny Sutton has developed his very own unique recipe. 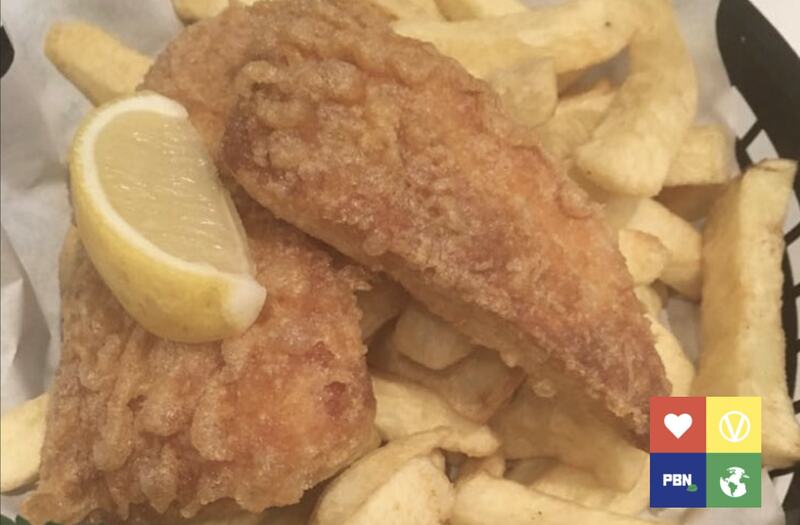 "The vegan 'fish' & chips will be available for eat-in at £8.50, or takeaway at £7.50 and tastes remarkably like the real thing due to a marinating process in seaweed to give the fresh seafood taste. "[In addition], a specially curated vegan menu of pie n mash from Mr. Nice Pie, served with home-made vegan-friendly gravy for £8.50 (takeaway £7.50) will be on offer." Other vegan options include battered vegan sausage and chips for £7.95 (£6.95 takeaway) and battered vegan 'prawns' for £4.95. The company has installed a separate fryer to ensure there is no cross-contamination. Customers can also choose vegan-friendly mayonnaise and tartare sauce for seasoning their meals.